Here's one for the International books. Holy WOW! 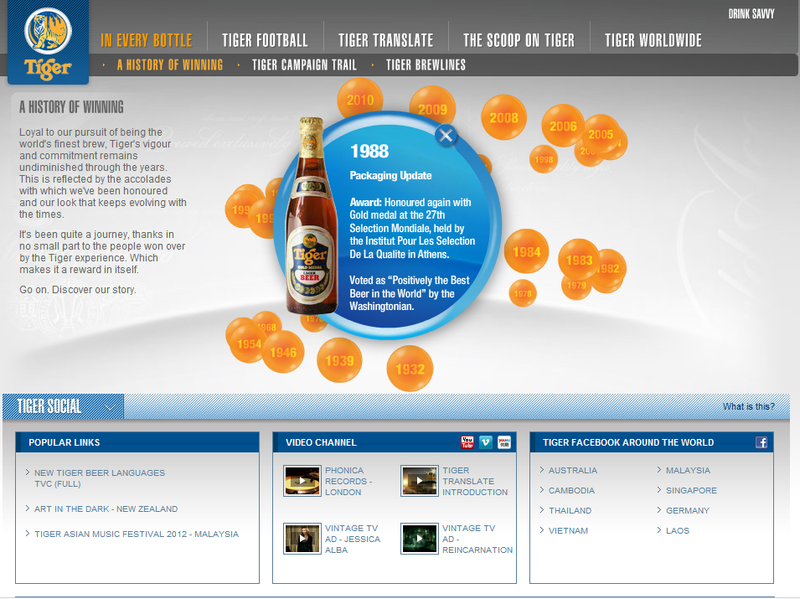 Tiger Beer has not only one of the best beer websites I've seen, but check out the advertising! "Born in the East. Winning the world over". Yup, well they've got the resources ($$) to do it. After a recent trip to Vietnam, my pops brought this can back for me to sample (thanks!). Brewed by Asia Pacific Breweries, with Heineken being the main stakeholder, Tiger Beer is available in over 60 countries, and has been around since 1932 when it became Singapore's first locally brewed beer. Heineken is one of the big few (Anheuser-Busch InBev, SABMiller, Heineken, Carlsberg, China Resources Enterprise), as one of the top companies to hold the most market share in the beer industry. As I poured the beer, I wasn't so shocked to see a light orangey-yellow; I was thinking that most largely produced beers have that in common. There was no nose at all - none, and then BAM - a fruity taste hit me. It was lightly bodied, but surprisingly flavourful (on the fruity side). Not one of my favourite's (No Cascade ;)), but it was interesting to try. It is in fact available in North America, although not too commonly. Here's an LCBO search for the Torontonians, showing one LCBO location result. Yes, there are two glasses in that photo. 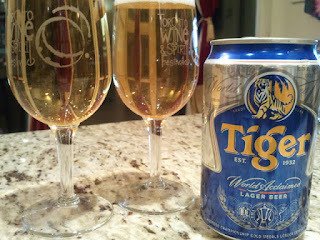 The other lucky drinker involved considers Tiger Beer to be one of his favourites, but mentioned that it tasted different from the Tiger Beer actually in Singapore (this one was from Vietnam). The change in water really makes a difference to the taste, and it reminded me of how incredible Guinness tasted over in Liverpool, England. 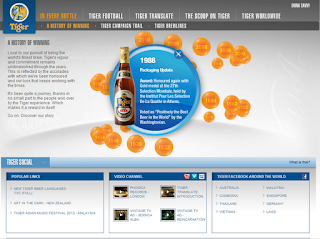 Quick note back on Tiger's website: Tiger Social, Tiger Video Channel, Tiger Football, Tiger Translate - "Tiger Beer's cross-cultural creative platform. It highlights Asia’s brightest creatives and facilitates collaboration with Western visionaries through a series of events, exhibitions and publications. ", Tiger History - what a cool way to show the history that most people would never read through if it were in 18 paragraphs)... *drool*. So well put together. 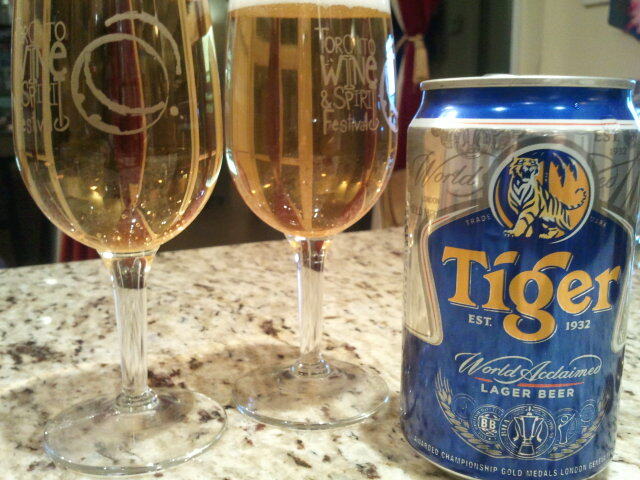 I've you've had Tiger Beer, tell me what you think of it, and/or its website.